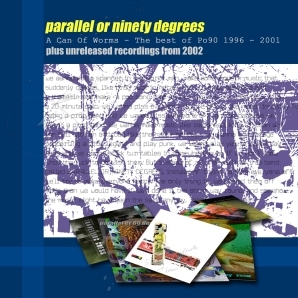 Parallel or 90 degrees is a UK outfit that produced 5 records between 1996 and 2001, most of which are out of print. This double CD compilation takes some of the best tracks from these records as well as a few special extras including a track with Roine Stolt from the Flower Kings. The liner notes are a fantastic read and all the trials and tribulations of the band are laid bare. In the end, though it is all about the music, really, and there is a lot of great music here. Hand selected tracks from the bands records: The Corner of my Room, Time Capsule, Afterlifecycle, Unbranded, More exotic Ways to Die (this is the only one I had heard before and really liked it) and finally tracks from an unreleased one called A kick in the Teeth for Civic Pride. These are long epic tracks. The first CD has 9 tracks in 79 minutes so plenty to enjoy. The 2nd CD is only 6 tracks and over an hour and contains the Complete Afterlifecycle in one go and 3 of the tracks from the Unreleased CD. Enjoy. Great band, let’s hope they make more music again one day. For those who don’t know a lot of these folks are involved in the Tangent, a band you might know. I personally like this band better though.